I cried and cried towards the end of Terry Pratchett’s documentary on Assisted Dying. My tears arrived not at the end of the documentary, where Pratchett watches UK citizen Peter Smedley die in Switzerland at the Dignitas Clinic. Rather, I began to cry when the various individuals involved in this documentary started traveling to Switzerland. I can only explain my emotional response as tears of respect for Peter Smedley and his wife as he chose death over a physical life increasingly controlled by motor neurone disease. 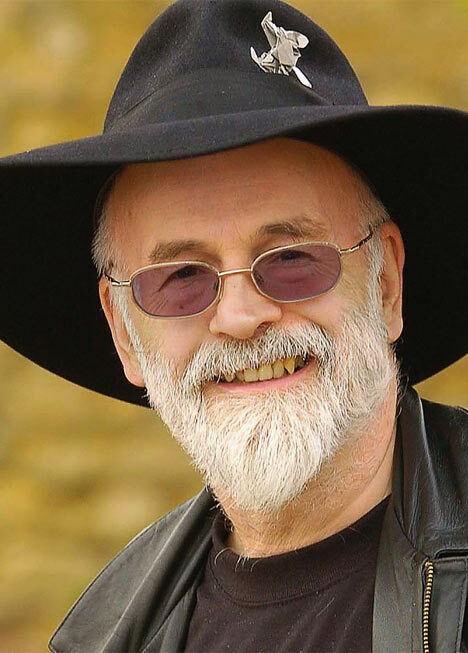 The documentary, Terry Pratchett: Choosing to Die, was shown on BBC 2 Monday night and it created a week’s worth of commentary. Most of it predictably either for or against everything in the documentary. I do not know what to say any longer about the UK’s debate on Assisted Dying. Indeed, the Death Reference Desk has a number of pieces on Assisted Dying debates in both the UK and the United States. You can review all of those previous posts here. It’s worth noting, I think, that when Death Ref started in July 2009 some of the first posts were on the UK’s Assisted Dying debates. Some pieces of that debate have changed but not significantly. The only anti-Assisted Dying argument that I will flag up as incorrect is the assertion that the deaths which people choose somehow diminish the value of hospice care. That is not true. Many many people choose hospice care at the End-of-Life and I wholeheartedly support that choice. But hospice care and End-of-Life care are different than choosing an Assisted Death. These things are related but they are not co-terminus. Advocates for both hospice care and assisted death often find themselves in televised debates but these same individuals are involved in entirely different kinds of conversations. Most importantly, neither ‘side’ will ever agree. They just won’t. The best that anyone can work towards, I think, is a well regulated, extremely stringent law which both increases funding for hospice care and allows Assisted Dying. The model law is Oregon’s Death with Dignity Act. Most (96.9%) patients died at home; and most (92.6%) were enrolled in hospice care at time of death. In fact, you can read all of the 2010 statistics here. If you are in the UK, then you can still watch the documentary until Monday night for free on the BBC iPlayer. If you are in the United States then I would suggest that you watch the Frontline documentary The Suicide Tourist. I discussed that documentary earlier this year and it is extremely good. It also follows a person to Dignitas who chooses to die. Barring either of these options, I have embedded a short clip from Terry Pratchett’s documentary. Rest assured, these conversations about Assisted Dying in the UK will continue. Posted by John in Death + the Law, Death Ethics, Grief + Mourning, Suicide and tagged assisted dying, bioethics, death with dignity, Dignitas, religion. Bookmark the permalink.